Did everybody have a nice few days off? I haven’t had the time to check in at the old internet cafe so often, because we’ve been driving around south-eastern Tasmania, stopping only to take the occasional boat-cruise and eat seafood or cheese. We haven’t had the time to do the full wilderness tour etc – that will have to wait for another trip. I’m looking forward to it already. 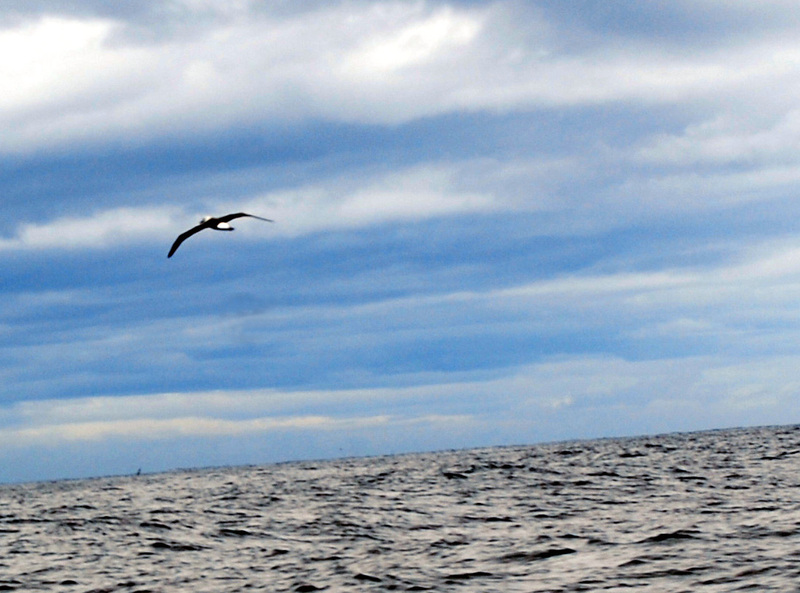 I would love to see an Albatross. I cannot imagine what they must be like, other than splendiferously big. Bruny Island is a wonderful place. I felt the vibe there to be unlike ‘mainland’ Tasmania, which is a bit odd and gave me the feeling that terrible things had happened there the echoes of which lived on in the bush and in the byways. Forever seemed to be stumbling upon gravesites and hearing stories of madness and mayhem from days long past. Lucky you. Nice place to visit. . . .
Well, we’re back home now, flaking out exhausted in front of the aircon and watching the cricket (the kids are mucking around with PlayStation). The cat was very very glad to see us last night, and my dad was very happy to have my mum back this morning (Mum came with us while Dad stayed in bushfire alert mode at the ancestral demesne, besides he’d been to Tasmania bushwalking a few years ago when Mum missed out because she was awaiting knee surgery, so it was her turn). Tomorrow is the full family get-together (my bro went to QLD to see his partner’s family this year) to swap the family presents (we adults do a Kris Kringle) and hand out the uncle/auntie pressies for the kids. I presume more food will figure prominently. Added the photo to the post now!